Refugees and persons needing protection are people in or outside Canada who fear returning to their country of nationality or habitual residence. In keeping with its humanitarian tradition and international obligations, Canada provides protection to thousands of people every year. The In-Canada Refugee Protection Process, for persons making refugee protection claims from within Canada. 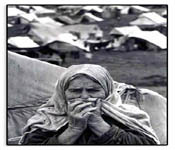 Canada has signed the United Nations 1951 Geneva Convention Relating to the Status of Refugees and its 1967 Protocol. This Convention protects refugees from being returned to a country where they would face persecution.